25 May is historical and a very important day for the people of Africa to reflect on the commitment and dedication of our leaders, forefathers and mothers who formed Organisation of African Unity/OAU, now today the African Union/AU, a continental body that aimed to fight and end colonisation, imperialism, slavery that was so rampant and subjected all Africans to hardship and marginalisation. Their human dignity was stripped off with no rights to property and land. The African Union has continued to emphasise these values, since its inception, in particular, the AU strives to achieve greater unity and solidarity between the African countries and the peoples of Africa; (b) defend the sovereignty, territorial integrity and independence of its Member States; (c) accelerate the political and socio-economic integration of the continent; (d) promote and defend African common positions on issues of interest to the continent and its peoples; (e) encourage international cooperation, taking due account of the Charter of the United Nations and the Universal Declaration of Human Rights; (f) promote peace, security, and stability on the continent; (g) and promote democratic principles and institutions, popular participation and good governance. As we remember this day, we should assess how far and progress African and African leaders made to achieve the dreams of our fore leaders. Today, we have nothing to account for before our fore leaders who sacrificed their lives for conquering independence, freedom and unity. After several centuries, Africa remains the field of war, conflicts, intolerance, slavery, disunity and a continent which cannot take care of its own children, where most of them are perishing in the Mediterranean seeking greener pastures in Europe or more often being trafficked for enslavement because neighbouring African Countries have closed doors and refused to accept fellow Africans. Their fate is horrific as they get enslaved and murdered in their own land, Africa. Africa has not accounted for giving its own children, women and young peoples as many women and girls are raped in Africa, under the watch of African Leaders. The importance of this day is also to reflect on our democracy model after several decades. Africans are unable to establish democratic and independent institutions as envisaged by our forefathers. Existing AU organs and institutions are facing several challenges. Case in point is the Pan African Parliament/PAP, which is established under Article 17 of the AU Constitutive Act to be a continental platform for discussion of important issues in Africa. The Institution has a new Protocol (Malawi Protocol), which give PAP legislative power to enact model laws on issues affecting African peoples. Because of lack of political will and commitment from our leaders to ratify the revised protocol, this institution cannot deliver much of what is expected. However, we salute some processes made so far on the reunification of African countries but bringing on board the 55 Member States, including Morocco. It is also time to reflect on the situation of the illegal occupation by Morocco of the Western Sahara Republic territory, the ever ongoing conflict in the Democratic Republic of Congo, South Sudan, Central African Republic, Cameroun and Burundi as well. This has the effect of prolonging implementation of the AU Agenda 2063, which commit involvement of young people and call for the need to profit from the demographic dividend by investing more in the young people. Peace and security is another important area to double our efforts as we cannot talk about development or a prosperous Africa, when most of the countries, DRC which is gifted in natural resource is plunged into war. It is also a day that civil society, human rights defenders, national human rights institutions and governments need to popularise in educating the African citizens about its significance to promote democracy, peace and justice. The AU has declared this year as a Year for Winning the Fight Against Corruption. There are several mechanisms in Africa that AU has adopted for accountability, respect of the rule of law and human rights. In respect of Corruption, AU Convention on Preventing and Combating Corruption is relevant for addressing the high scale of corruption, including the Thabo Mbeki findings on illicit financial transfers from Africa. That contribute to exacerbation of poverty and marginalisation of African people. In South Africa, this year is dedicated to celebration of the centenary of our human rights icon, Tata Nelson Mandela and Mama Albertina Sisulu. They played important roles in contributing towards consolidation of democracy in South Africa and beyond, building of democratic institutions, respect of the rule of law and human rights. South Africa should use this momentum to free the people of this country from the shackles of corruption. The perpetrators of this crime should not only be held accountable, but it should be intensified to recover stolen funds and looted out of the country. The new era is making inroads in tackling this cancer of corruption and should do more so with Civil Society. In this way the path to achieving SDG 16 & 17 which commit states to create safe environments for communities will be realised, including making institutions of democracy conduct their constitutional and legislative obligations independently without fear, favour of prejudice. South Africa is a state party to AU Convention on Preventing and Combating Corruption and should lead in fighting this evil culture internally and across Africa and develop effective laws complaint with AU mechanisms. As Chair of the SADC region and upcoming Chair of the BRICS much need to be done to change the culture of unaccountability, reprisals targeting abiding officials, citizens, in association, assembly, expression of human rights violations and appreciation of human rights defenders for cooperating with national, African and International human rights systems. 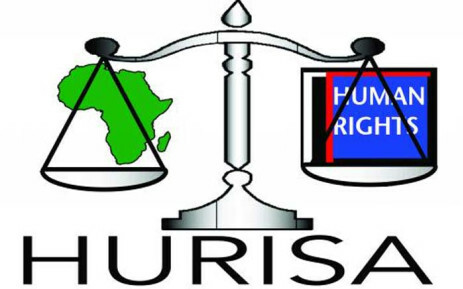 While wishing a happy Africa Day, HURISA call for a deep reflection on the Africa model as predefined by our fore leaders and to the idea of Pan Africanism.